IndonesiaTravelVisit.com | Plaosan temple that was built by Rakai Pikatan has some uniqueness compared to other temples, namely its twin main temple and the terrace with smooth surface. In this temple, there are Vajrapani, Amitbha, and Prajnaparamitha figures. After visiting Prambanan temple, you should not rush to your hotel, because close to the beautiful Hindu temple, you can also see other interesting temples. 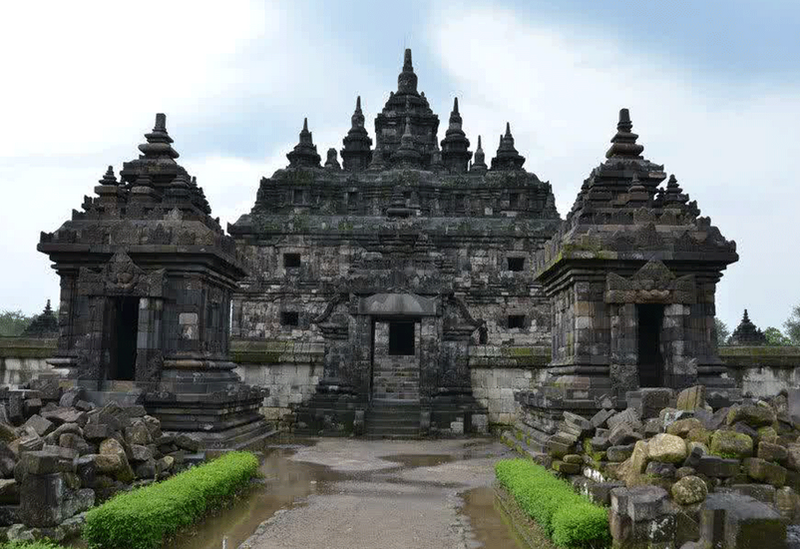 Moving 1 kilometer northwards, you will find Plaosan Temple; a temple constructed by Rakai Pikatan for her wife, Pramudyawardani. 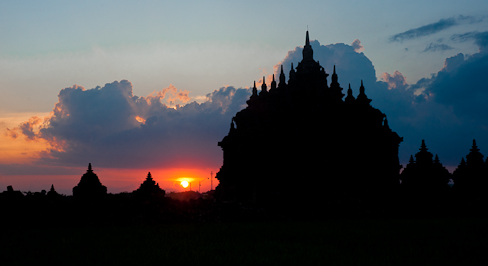 The architect of the temple that is located in Bugisan village of Prambanan sub-district is combination of Hindu and Buddha. Plaosan complex is divided into 2 groups, namely the North Plaosan Temple and the South Plaosan Temple. Both of the temples have square terrace that is encircled by wall, a pillbox for meditation at the west part and dome on other side. 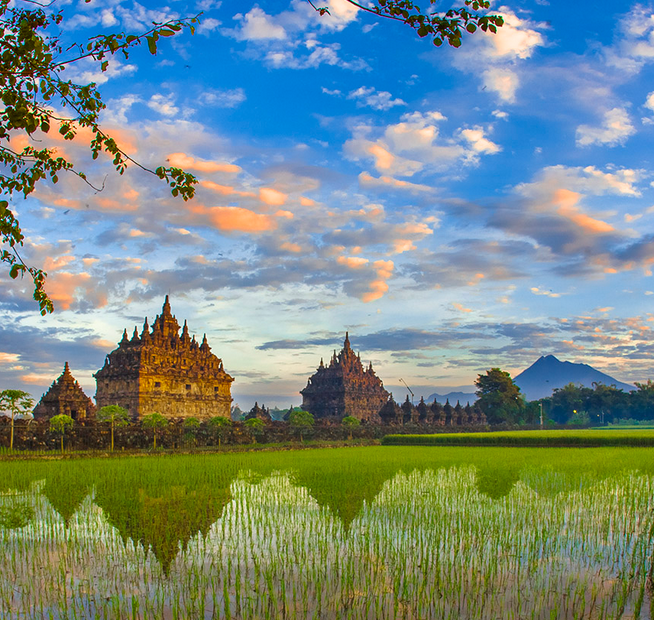 Because of that similarity, the appearance of both temples are the same when they are seen from distant so that Plaosan temple is also called the twin temples. The North Plaosan Temple has middle courtyard encircled by wall with the entrance at the west side. In the middle of the courtyard, there is a hall as wide as 21.62 m x 19 m. At the eastern part of the hall, there are 3 altars, namely north, east and south altars. The pictures of Amitbha, Ratnasambhava, Vairochana, and Aksobya are at the east altar. Samantabadhara statue and Ksitigarba figure is at the north altar, while Manjusri picture is at the west alter. The South Plaosan temple also has a hall at the center that is encircled by 8 small temples that is divided into 2 ranks and each rank consists of 4 temples. There also pictures of Tathagata Amitbha, Vajrapani with vajra attribute at the utpala and Pranjaparamita who was considered "the mother of all Buddha". Some other pictures can still be found but not at their original places. Manujri figure that according to a Dutch scientist named Krom is significant can also be seen. Part of this bas relief has unique picture of man and woman. There is a man described as sitting cross-legged with worshipping hands and a figure of a man with vara mudra and vse at his leg encircled by six smaller men. A woman is described as standing with vara mudra hands, while there are book, pallet, and vase around her. Krom explains that figures of those man and woman are descriptions of supporting patron from two monasteries. The entire complex of Plaosan temple has 116 ancillary domes and 50 ancillary temples. Ancillary domes can be seen on each side of the main temple, as can smaller ancillary temples. Walking northwards, you can see open building called Mandapa. Two inscriptions can also be found; they are the inscription on gold coin at the north of the main temple and an inscription written on a stone in the first line of the ancillary temples. One of the characteristics of Plaosan temple is the smooth surface of the terrace. Krom explains that such a terrace is different from other temples of the same time. To his opinion, it is related to the function of a temple by that time that is predicted to keep canonical texts owned by Buddhist monks. Other prediction by Dutch scientists, if the number of monks in that area is small then the terrace might be used as a place for Buddhists to pray. If you go around the temple complex, you will notice that the complex of Plaosan temple is wide. That can also be noticed from long fence stretching 460 meters from north to south and 290 meters from west to east. There is also moat inside stretching as long as 440 meters from north to south and 270 meters from west to east. The moat can be seen by walking eastwards through the middle part of this historical building. 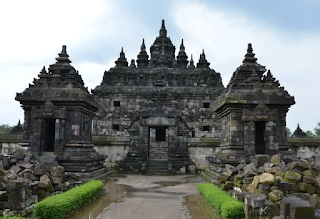 0 Komentar untuk "PLAOSAN TEMPLE , The Twin Temple near Prambanan"